On this page of my website I’d like to introduce you to people I met while I was on tour. 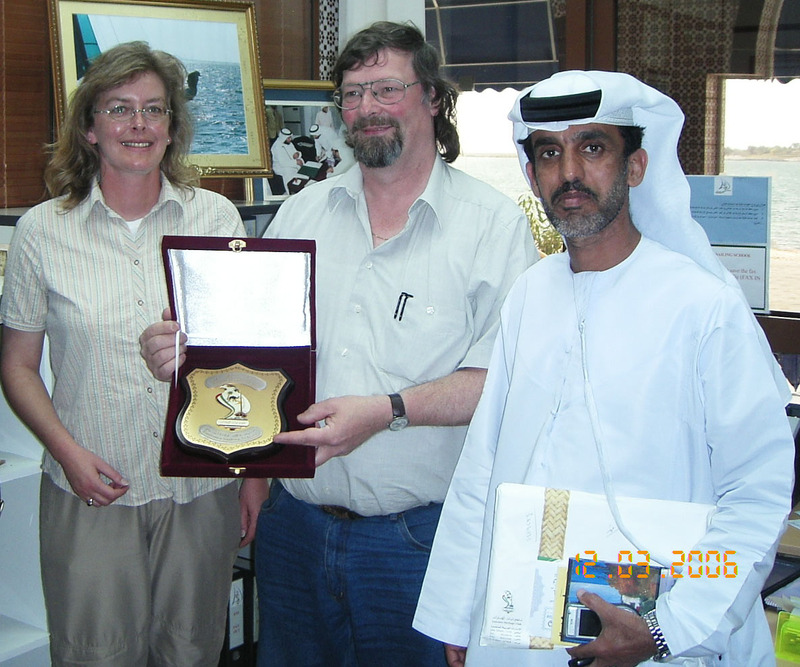 I was in Abu Dhabi more than once. On one of my visits a Medal of Honor was given to me. The USA have also been the destination of multiple tours of mine. 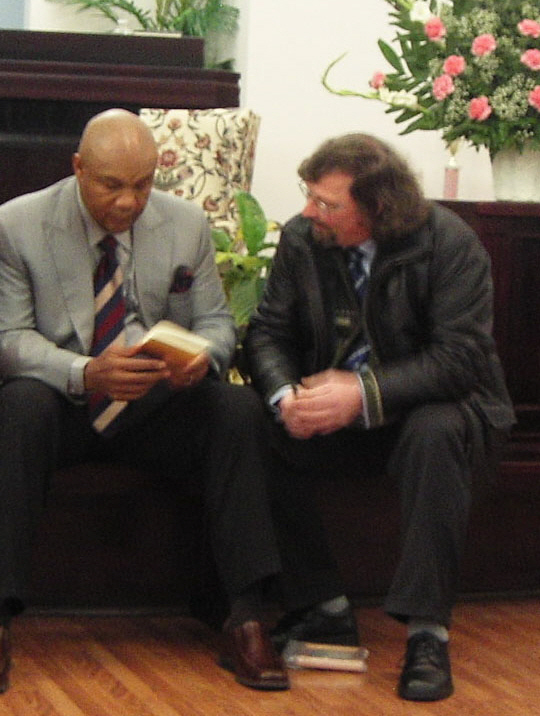 This picture was taken after a mass in the church where George Foreman preaches. 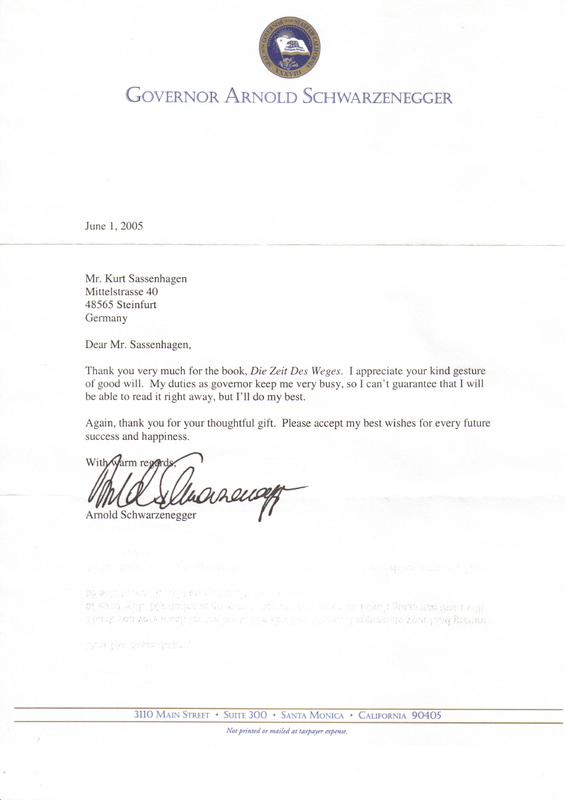 In 2005 Arnold Schwarzenegger (at that time Govenor of California) got one of my books "Die Zeit des Weges" as a present. This is the letter in which he states his appreciation. When I visited the United States in 2005 I also visited the office of Arnold Schwarzenegger and left him one of my books. A few weeks later I received this letter as a sign of his appreciation. 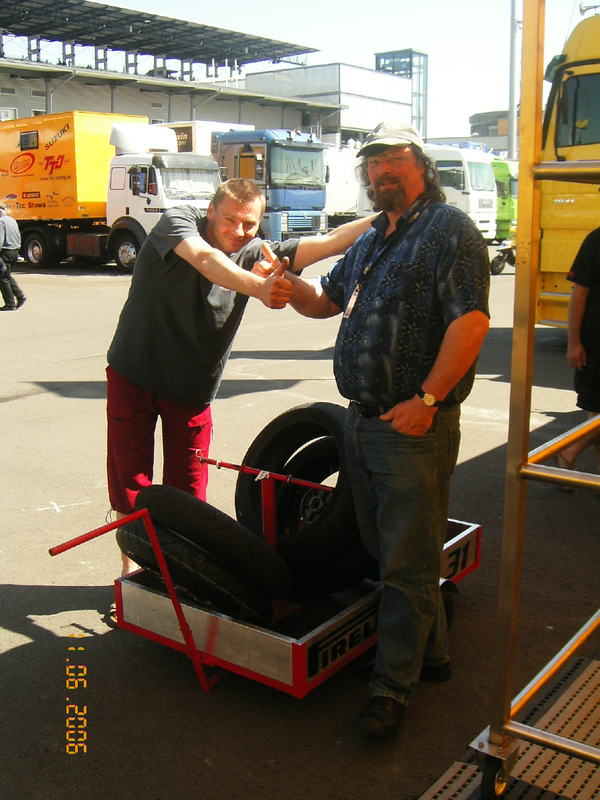 During my many tours I even got to know the racing driver Remo Leeman. 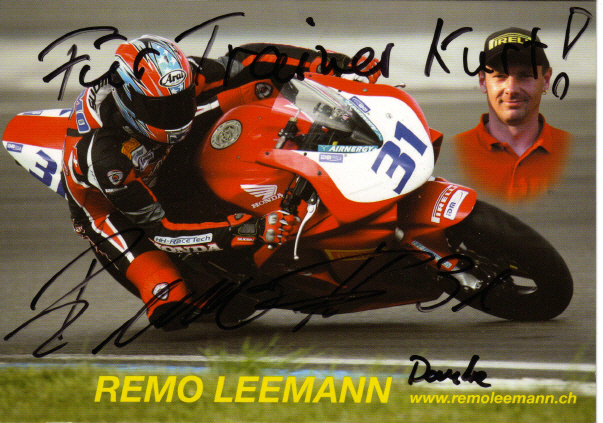 In Germany I got to know the motorcyclist Remo Leeman. An autograph of Remo Leeman saying "To my coach Kurt!"